When will be America's War on Drugs next episode air date? Is America's War on Drugs renewed or cancelled? Where to countdown America's War on Drugs air dates? Is America's War on Drugs worth watching? Gangsters, gurus, warlords, spies, street gangs, and politicians vie for control of a black market for narcotics; stories of secret assassination attempts, LSD experiments and covert support of heroin traffickers in the lead up to the War on Drugs. Cocaine gives rise to cartels; CIA shadow wars contribute to the first nacro-state; crack floods into the United States as an unintended consequence of the fight against communism; a former DEA agent discusses U.S. culpability in the cocaine trade. The Clinton administration's support of NAFTA inadvertently opens the door to Mexican cartels; a crackdown on violence leads to mass incarceration; a celebrity's sister becomes a med lord; powerful cartels begin a war for dominance. America's War on Drugs next episode air date provides TVMaze for you. 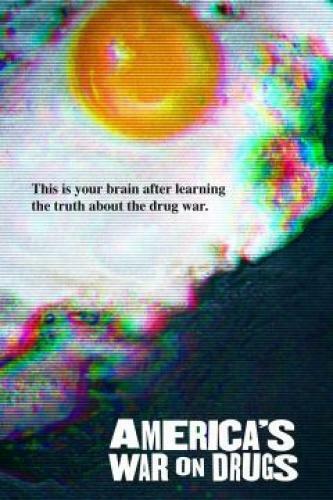 EpisoDate.com is your TV show guide to Countdown America's War on Drugs Episode Air Dates and to stay in touch with America's War on Drugs next episode Air Date and your others favorite TV Shows. Add the shows you like to a "Watchlist" and let the site take it from there.